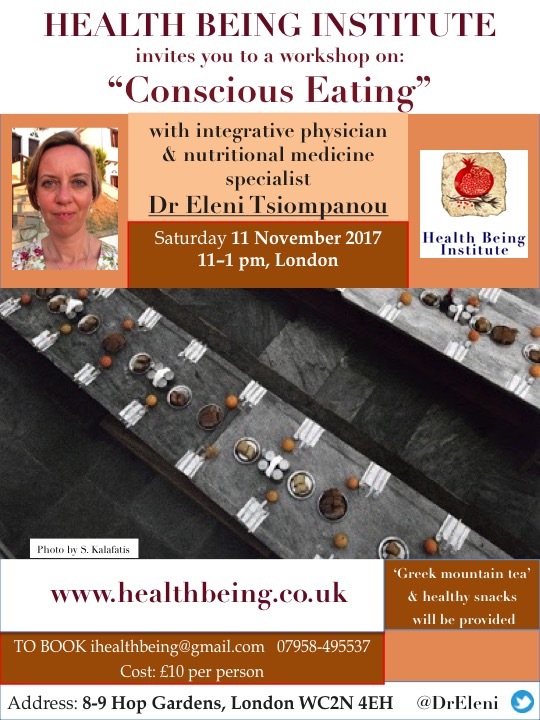 Dr Eleni has been invited by the Temenos Academy to give a lecture on “Hippocrates: the Lost Way to Health”. 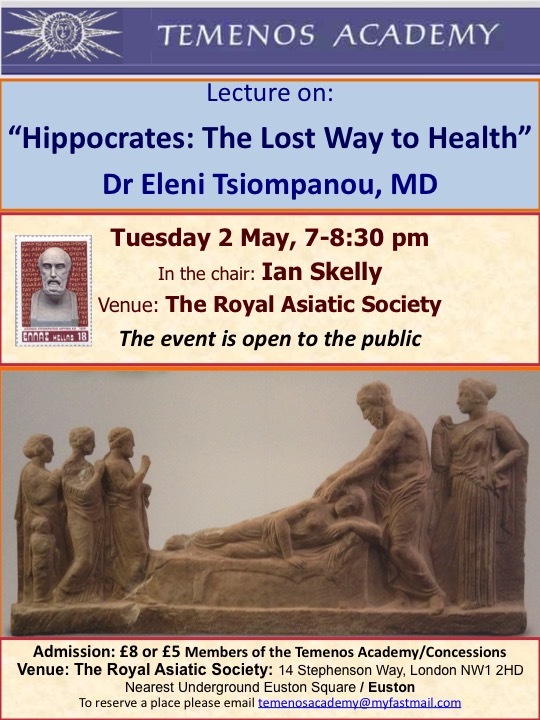 The lecture is on the 2nd of May in the atmospheric building of the Royal Asiatic Society in central London. The Temenos Academy is an educational charity which aims to offer education in philosophy and the arts in the light of the sacred traditions of east and West. The word ‘temenos’ means ‘a sacred precinct’. 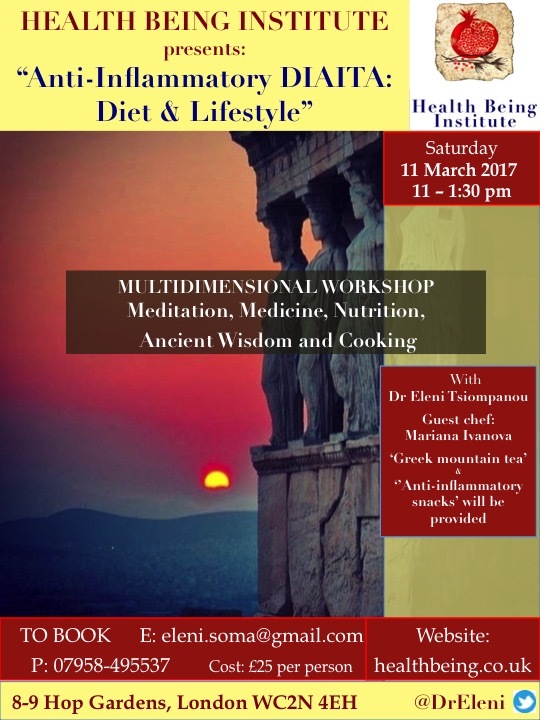 “Health depends on the harmony of the basic elements in the human body”, wrote Hippocrates the Father of Medicine 2,500 years ago. ‘Diaita’ which, from ancient Greek, means literally ‘way of life’, preserves or disrupts this inner harmony influencing our health and state of being. 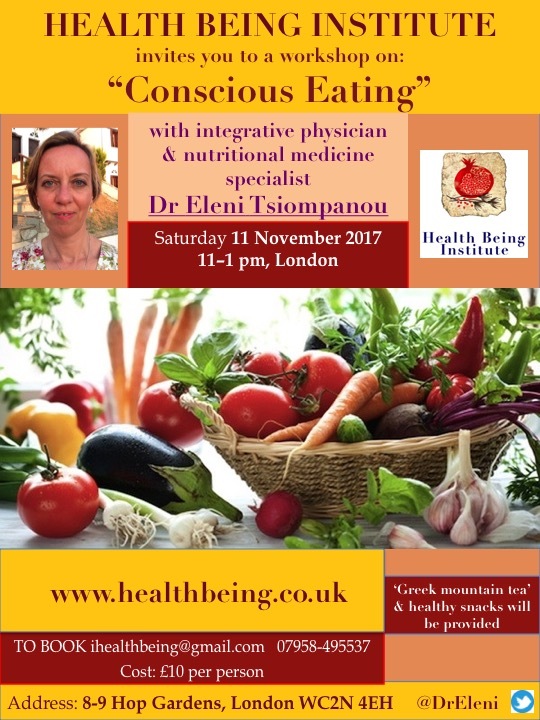 Hippocrates understood the properties of foods, the importance of exercises, music and social interaction in maintaining harmony. 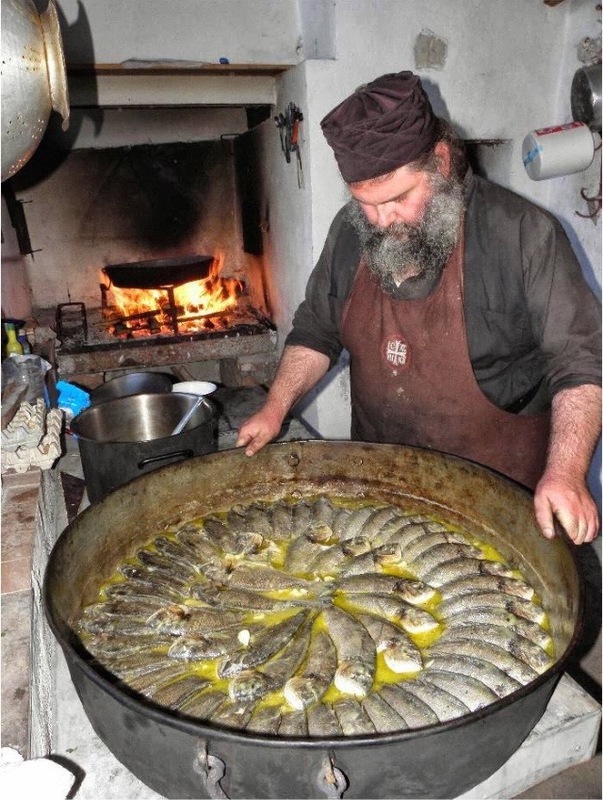 Emphasising the relationship between the quality of food and the soil, his practical advice on cooking and the impact of fasting on health can help us today in our search for a harmonious, healthy life.